No passport? No problem! If you don’t come for the tropical beaches, come for the rum! Clear blue water, verdant green mountains and picturesque bays dotted with sailboats fill the scene in these Caribbean islands. Dare to indulge in life off the mainland where the ocean and a seafood dinner is always within reach. 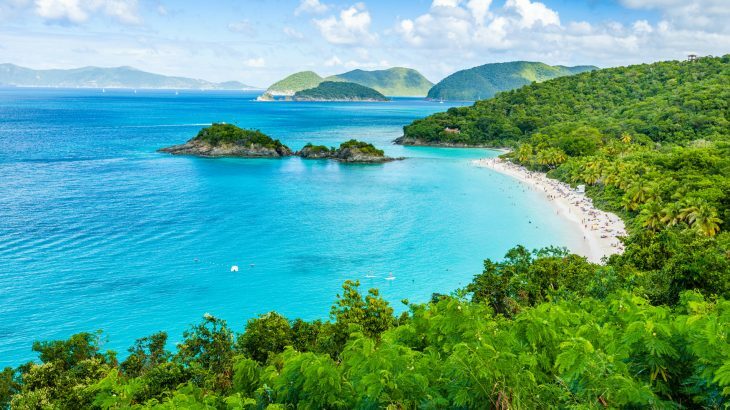 From the picturesque sands of Trunk Bay to the 99 steps in Charlotte Amalie, the United States’ Caribbean territory will make you wonder why anyone chooses to live stateside. The U.S. Virgin Islands continue to be a popular travel hotspot for vacationers looking for a tranquil escape in the Caribbean. 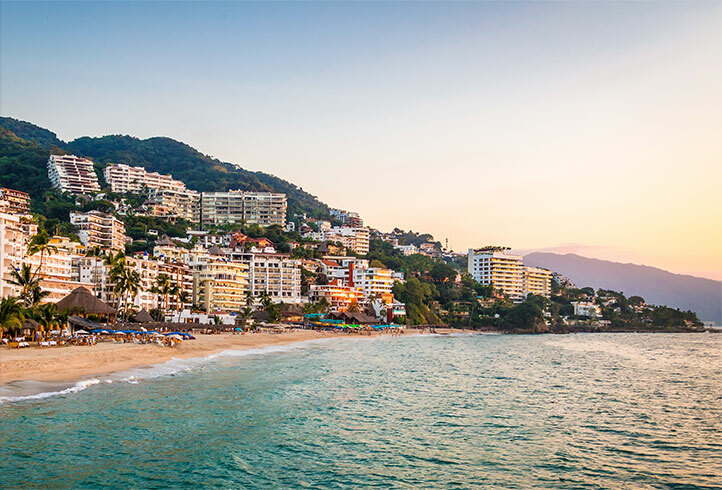 Each of the islands has its own unique character and personality with some offering a more laid-back and relaxing vacation experience and others famous for their nightlife and wealth of dining options. From St. Thomas to Water Island, you’ll find everything you need for a memorable beach vacation. The U.S. Virgin Islands are located approximately 1,100 miles from the southeast coast of Florida and are comprised of four main islands: St. Croix, St. John, St. Thomas and Water Island. The islands have their roots as Dutch and European colonies, and once served as a free port of trade of sugar and other goods. It wasn’t until 1917 that the islands were purchased by the United States, and it was from then on that they became primarily a tourism destination. However, tourism doesn’t account for all the islands’ income. The islands are the site of one of the largest oil refineries in the world and some of the most popular rums are produced there, like Captain Morgan and Cruzan Rum. Much of the natural environment on the U.S. Virgin Islands is made of pristine, white-sand beaches, coral reefs and mangroves. From salt ponds to beautiful forests, you’ll find dozens of untouched natural sites that serve as the home of small animals and marine life. Many areas tell the story of the islands’ culture and heritage. Events held on the islands usually consist of traditional dress and dance, music and other cultural activities. You’ll find everything from Carnival celebrations and fishing tournaments during any given season. Spend your days visiting historic sites, sampling local dishes, participating in bird watching and snorkeling activities, or attending some of the local events and festivals. The history of the U.S. Virgin Islands dates back to the 1490s when Christopher Columbus sailed into Salt River and claimed the islands on behalf of Spain. At the time, the Carib Indians had taken control of St. Croix from the Arawak Indians and the battle between the Indians and Columbus is considered to be the first of the New World voyages. Columbus named the island Santa Cruz and then headed north where he spotted a chain of islands also populated by Indians at the time. The Danes established the first settlement on St. Thomas in 1672 and then branched out to St. John and St. Croix. By 1733, the islands served as the home of several plantations and St. Thomas officially served as a slave-trading post in 1685. Slaves on the island were emancipated in 1848 and shortly after, sugar beet was discovered on the island but the agricultural industry declined rapidly. The islands soon served as a shipping port, and it wasn’t until 1917 that the United States made the purchase of the U.S. Virgin Islands from Denmark. Since the United States purchased the U.S. Virgin Islands, the tourism industry has thrived and today the islands serve primarily as a tourist destination for thousands of visitors around the globe. Travelers can enjoy everything from historic and culinary tours to art shows and dance performances. The U.S. Virgin Islands promise great weather year round. Peak travel season to these Caribbean islands is during the winter months when people flock to the Caribbean to get away from the snow and cold. If you’re looking for great deals on hotels and flights, plan to head to visit during the middle of summer. Many travelers head to beach destinations outside of the Caribbean during the months of June, July and August, so you’ll find several remote and secluded areas on the U.S. Virgin Islands during these months. Plan to book your trip several months in advance as the major hotels and resorts fill up fast and rates tend go up closer to the holidays. The average year-round temperature on the island stays at a steady 77 degrees during winter months and in the lower 80s during summer months. The islands don’t really experience any changes in seasons, so you’ll enjoy warm and sunny weather any time of year. Plan to pack shorts, t-shirts and resort wear for your trip, plus a few dressier pieces of clothing for the nightlife scene or entertainment hot spots. The U.S. Virgin Islands have two major airports, Cyril E. King Airport and Henry E. Rohlsen Airport. Cyril E. King Airport is located on St. Thomas and is one of the busiest airports on the islands while Henry E. Rohlsen Airport is located on St. Croix and is the second-most visited airport. Both are served by all major commercial carriers and some offer direct flights from Miami and other areas. You’ll find a handful of other, smaller airports that only cater to private planes and charter airlines across the islands. St. Croix offers everything you’d expect on a Caribbean island, like snorkeling and beaches, and more surprising attractions like a rainforest, historic towns and shopping. It’s the place to soak up island history and learn about the cultural diversity and rich heritage of the islands. This is where you’ll find dozens of pastel buildings and quaint shops, plus casinos and golf courses. Visit the historic towns of Frederiksted and Christiansted to see 19th-century buildings and cultural sites and buy handmade goods from local stores. Spend time exploring Sandy Point, Cane Bay Beach, Chenay Bay Beach and Butler Bay and snorkeling in Buck Island National Park. Pay a visit to the Apothecary Hall Museum and St. George Botanical Garden, visit the Estate Whim Plantation Museum or take a tour of the Caribbean Museum Center for the Arts. When hunger kicks in, dine at one of the islands many lively restaurants, like Savant, La Reine Chicken Shack and The New Deep End Bar & Grill. If you want to experience Mardi Gras in Caribbean paradise, visit during March when Mari Croix takes over on the North Shore of the island. Or, if you’re escaping the cold for the holidays, visit during December for the exuberant St. Croix Christmas Festival. Two-thirds of St. John is the Virgin Islands National Park, making it the perfect island for outdoor enthusiasts and those looking for an adventurous getaway. From hiking and camping to birdwatching and nature excursions, St. John offers a wealth of opportunities for those who want to explore the great outdoors in the Caribbean. White-sand, dream-like beaches are a dime a dozen on St. John but the one you can’t miss is Trunk Bay—St. John’s most photographed beach. In addition to lounging on beaches, you can enjoy a wide range of watersport activities, a scenic car ride or windsurfing events around Cinnamon Bay, Honeymoon Beach or Hawksnest Beach. Take a day trip out to the Annaberg Sugar Plantation Ruins, spend the day exploring the Reef Bay Trail and Petroglyphs at the national park, or head out to see the Peace Hill Ruins for an afternoon. If experiencing a Caribbean carnival is on your bucket list, be sure to visit the island during June and July for the St. John Carnival Parade. As far as dining goes, St. John has options for every palate. Consider adding Aqua Bistro, The Lime Inn and High Tide to your list if you’re on the west side of the island. Or, if the water is just too alluring to head into shore for lunch, stop at Lime Out, the floating food truck in Round Bay, for tacos and craft cocktails. St. Thomas is where you’ll find some of the most beautiful harbors in the world, home to several marinas and ports where you can go boating, sport fishing or even take a submarine ride. In addition to being the capital of the U.S. Virgin Islands, Charlotte Amalie is where you’ll find several duty-free shopping and a thriving nightlife scene. It’s also the place to indulge on sumptuous cuisine like at Greengos Caribbean Cantina, The Greenhouse Restaurant & Bar and Hook, Line & Sinker and enjoy a wine tasting on any given evening. St. Thomas encompasses just 32 square miles, but is home to the famous beaches, mountains, nature trails and bustling towns. 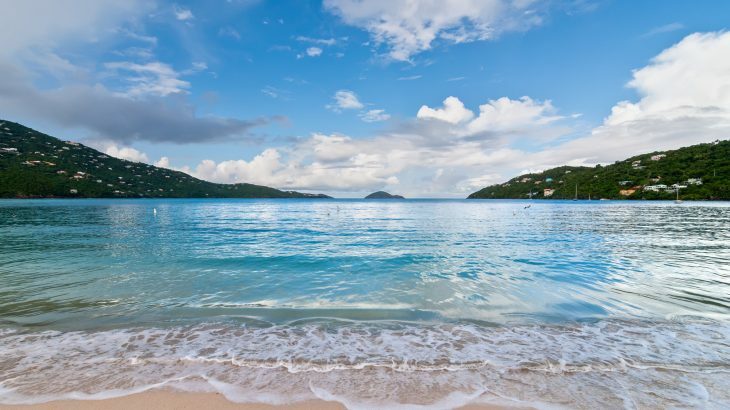 While practically every beach on the island is picture-perfect, the most popular include Magens Bay Beach, Sapphire Beach, Brewer’s Bay Beach and Lindquist Beach. To learn about the island’s history and environment, visit Coral World Ocean Park and Black Beard’s Castle and climb the 99 steps. 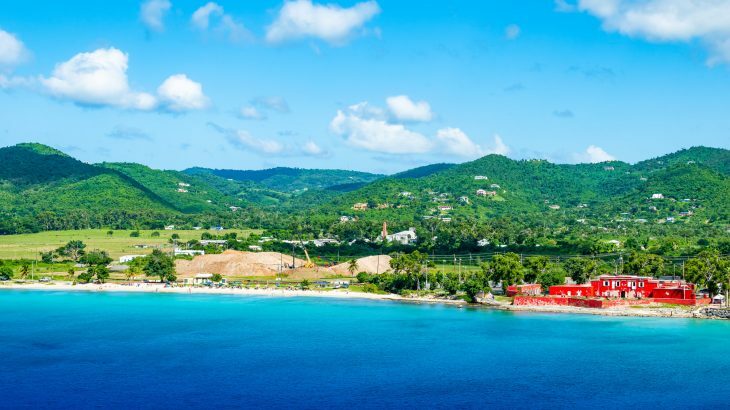 Just a 10-minute ferry ride from Crown Bay Marina in Charlotte Amalie harbor, Water Island is populated with less than 200 residents and often referred to as the “Fourth Virgin”. Water Island is one of the few islands in the Lesser Antilles with natural pools of drinkable water, making it a frequent stop throughout history for ships to replenish their fresh water stores and earning it its name. It’s a peaceful escape from busy St. Thomas, offering guests a day to explore a pristine island with little in the way of tourist amenities like hotels and resorts. Spend your time here lounging on Honeymoon or Sprat Bay Beach, scuba diving Supermarket Reef or learning the island’s history with visits to sites like Fort Segarra and former Taino Indian settlements, or even book a tour with Water Island Adventures, located in the heart of Water Island. If you love the island so much you must stay the night, rent a private villa for the night and partake in the Pizza Boat dinner or Monday Movie Night on Honeymoon Beach with the locals.